You’re asleep when they come for you. Or you’re relaxing on the couch. Or walking home on a quiet, unassuming night. They arrive in a group. Dark clothes, maybe masks. They rush you all at once. Your hands, secured with zipties. Simple, hard to break. A blackbag is placed over your head. It blinds you, muffles the sounds you hear. The sudden darkness is suffocating; combine that with the fear and confusion, and it’s hard to breathe. Maybe they stun you. Or they drug you. Or they hold something against your nose. If it smells sweet, it’s sevoflurane. Less sweet, but more fruity, it’s chloroform. They bundle you up and wrestle you into a waiting van or SUV. Disoriented, scared, and vulnerable, you’re dragged across international lines. You’ve just experienced extraordinary rendition. Most people associate it with terrorism and CIA black sites across the world. But it has effects much closer to home. Former fugitive Dan “Tito” Davis spent years on the run in Latin America and abroad. But his life as a fugitive ended when he was blackbagged and kidnapped from Venezuela and returned to the US to stand trial. 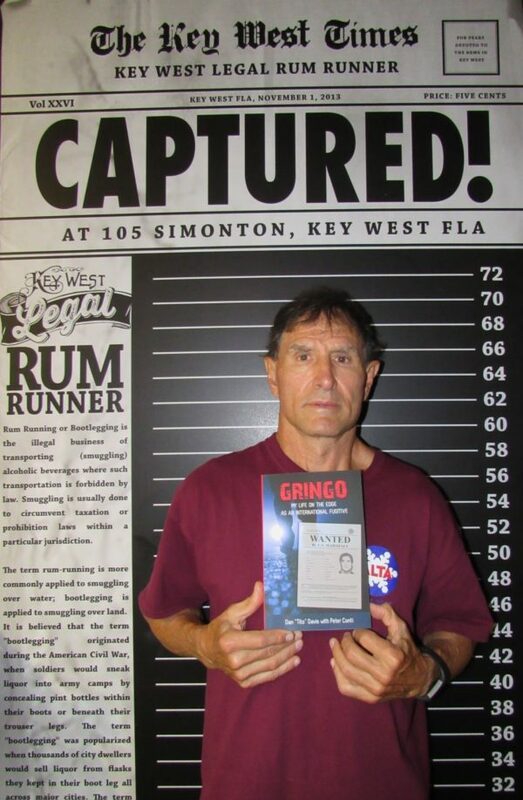 He details his story in his new book, Gringo: My Life on the Edge as an International Fugitive. Rendition, in law, is a transfer of persons from one jurisdiction to another, and the act of handing over, both after legal proceedings and according to law. Most people know this as extradition, the surrender of an accused or convicted person by one state or country to another. But when kidnapping or deceit is involved, you have what some term “irregular rendition,” but most people know of as “extraordinary rendition,” the extra-legal (meaning “outside the law”) transfer of persons. In laymen’s terms, kidnapping. 2.) How many countries participated in the CIA’s extraordinary rendition program. But clearly, the use of rendition by other government agencies can work outside of governmental collaboration. In Tito’s case, Venezuela was a non-extradition country, but people were hired to transport him to the United States against his will regardless. If that doesn’t work, other techniques include “luring” suspects into international waters. The Washington Post reported that the CIA’s extraordinary rendition program is over. But according to the ACLU fact sheet on the subject, the practice continues “to this day,” something evidenced by the fact that a full writeup remains on the active ACLU website. The United States exercised extraterritorial jurisdiction over John Surratt, a possible co-conspirator in the assassination of President Abraham Lincoln. Law enforcement officers returned Surratt to the United States I 1866 after he had fled to Alexandria, Egypt. Toscanino was forcibly abducted from Italy and taken back to America, due to being accused of intent to smuggle narcotics into the United States. Uruguayan police forcibly abducted the Italian, drugged him, and gave him to the American authorities. Once in US custody, authorities tortured him, through electrocution, starvation, and flushing his eyes and nose with alcohol. In Lujan, the defendant was abducted in a foreign country and brought to the United States to face prosecution for a narcotics violation. Lujan attacked the court’s jurisdiction over his person based upon the manner in which he was apprehended. Davis was a fugitive from the United States for more than 10 years when he was kidnapped in Venezuela by paramilitary forces and turned over to the United States Homeland Security at the airport and flown to Miami and turned over to the US Marshalls for sentencing from his original drug charges.